A young man, Segun Oni has been arrested by the Ogun state police command for allegedly killing his brother-in-law, Sunday Oluwadare over N30, 000 debt. It was learnt that the suspect killed his Brother-in-law with a stick after an argument ensued over N30, 000. 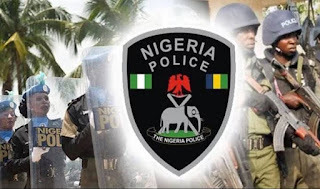 The spokesperson of the command, Femi Joseph parading the suspect on Monday told newsmen that Oluwadare was hit in the head with a big stick by the suspect following a heated argument. 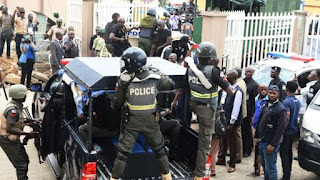 He said: “The duo had engaged in the argument over N30, 000 the suspect lent the victim. “The disagreement led to a fight between them. As the fight went on, Sunday overpowered Oni. So he (suspect) managed to leave the scene and returned with a big stick to hit Sunday on the head. Joseph added that the suspect will be charged to court soon.